I’ve been surprised by the opposition from local businesses to the planned bike lanes that could bring them more business. Yes, I fully expected some blowback to plans to install bike lanes on busy streets like Westwood, Bundy and Figueroa. Auto-centric residents who can’t comprehend any other means of getting to and from their homes can be counted on to rise up in NIMBYist opposition to any suggestion of reducing traffic flow to a more rational level, or providing a safe alternative to getting behind the wheel. Even though they don’t have to get out of their cars to enjoy the benefits. But just make it practical for other people to leave their cars behind so they can move more freely in theirs. But the vehemence of the opposition from the merchants who would benefit from bike lanes has come as a very unpleasant surprise. It doesn’t take a Masters in Business Administration to realize that anything that enables more customers to come to your door is good for the bottom line. Never mind that bike riders have been shown to visit merchants more often, resulting in higher sales over the long run. Or that calming traffic — one of the many secondary benefits of bike lanes — can make a shopping district more attractive to everyone, And at the same time, replacing cut-through drivers with destination traffic more likely to actually stop and spend money. 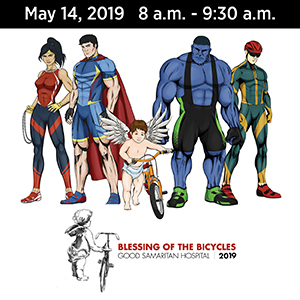 So I was intrigued this morning when I received an email from Metro announcing that this year’s Bike Week will take place from May 13th to 19th. And that a new feature in 2013 will be the first Bike Weekend, in which merchants will be encouraged to offer a discount to bike riders. 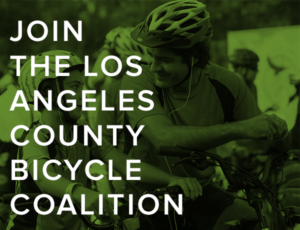 Metro invites you to be part of Bike Week LA by offering discounts to any bicyclist who mentions “Bike Week” during Bike Local Weekend, Friday, May 17 through Sunday, May 19, 2013. This is a FREE advertising opportunity to attract and encourage customers to eat, shop, and play locally. Metro wants to promote you as a destination location for Bike Local Weekend through our website, social media network, and other media channels. Did you know that bicycling is great for local business? Studies show that people who travel by bicycle actually make more visits to small businesses than people who travel by car. These visits add up – cities all across the U.S. are discovering that when bicycling increases, sales revenue does too. In San Francisco and New York City, for instance, retail sales along certain bike lanes is up as much as 50%! Because bicyclists travel at slower speeds than cars, it’s easier for them to stop and smell the coffee. (It also helps that they don’t have to pay for parking). If your business would like to participate in Bike Local Weekend, please sign up here no later than May 1, 2013. The earlier you sign up, the better we are able to promote you! Please feel free to contact us with any questions at [email protected] or 213.922.5634. So let me issue a challenge to business owners who oppose bike lanes in front of their shops. Especially those who have been most outspoken in their opposition, like Galcos in Highland Park and A Little Taste of Hoboken in Westwood. 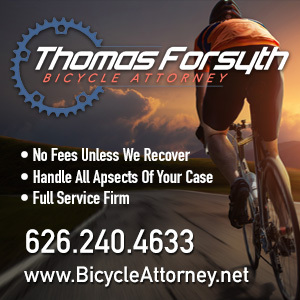 Offer a discount to bicyclists that one weekend. If you don’t notice any difference in sales, maybe you’re right. 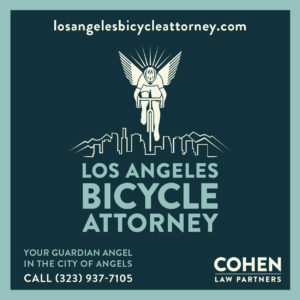 You can come to the next meeting and argue that you tried to market your business to bike riders, and it didn’t do any good. But if, more likely, your business goes up that weekend, you’ll have solid evidence that we bicyclists spend money at places that make us feel welcome. And that, rather than the highway to financial ruin you fear, a bike lane in front of your business could be the pathway to higher profits. Let alone a better, safer and more livable business district. The best part is, you have nothing to lose. But don’t be surprised if we complain about the lack of bike parking.